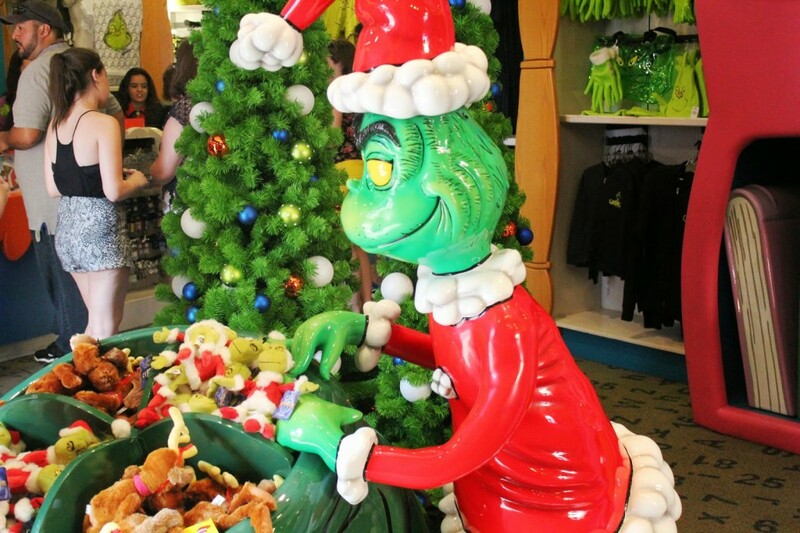 Since we visited Universal Orlando Resort around Christmas, everything was decked out for the holidays. 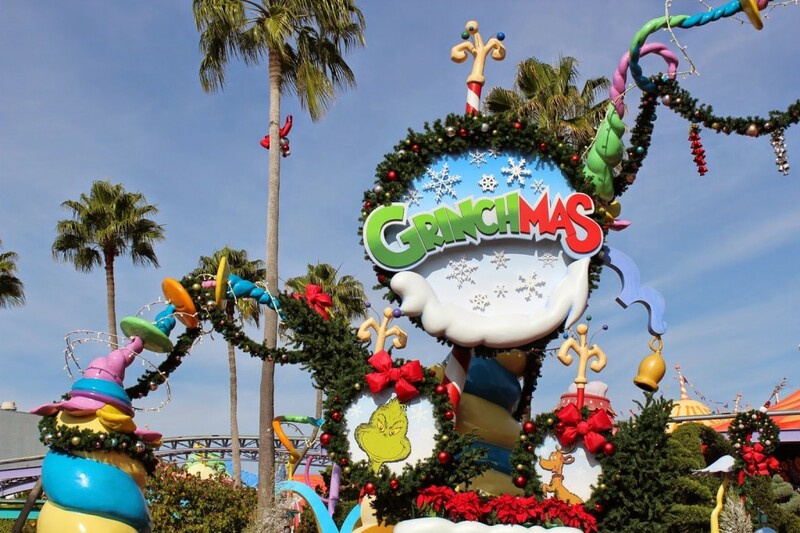 During that time of year, Universal has a special ‘Grinchmas’ stage show that’s super cute! 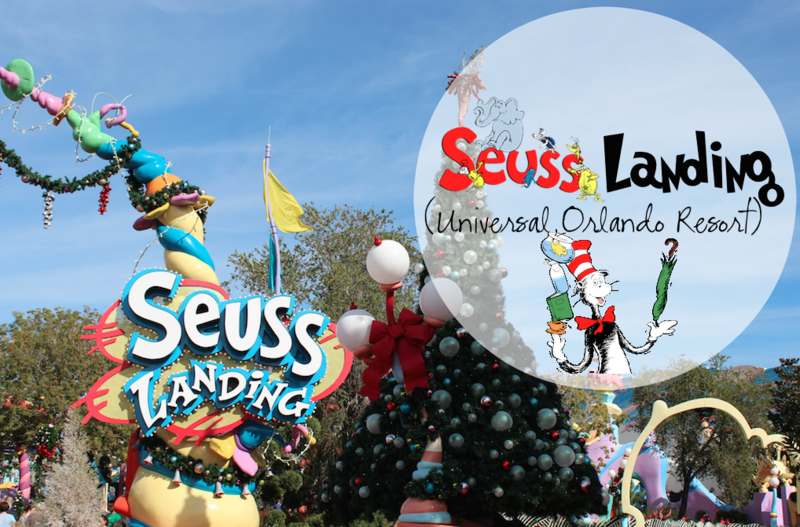 I definitely recommend it for any Christmas or Dr. Seuss fan! 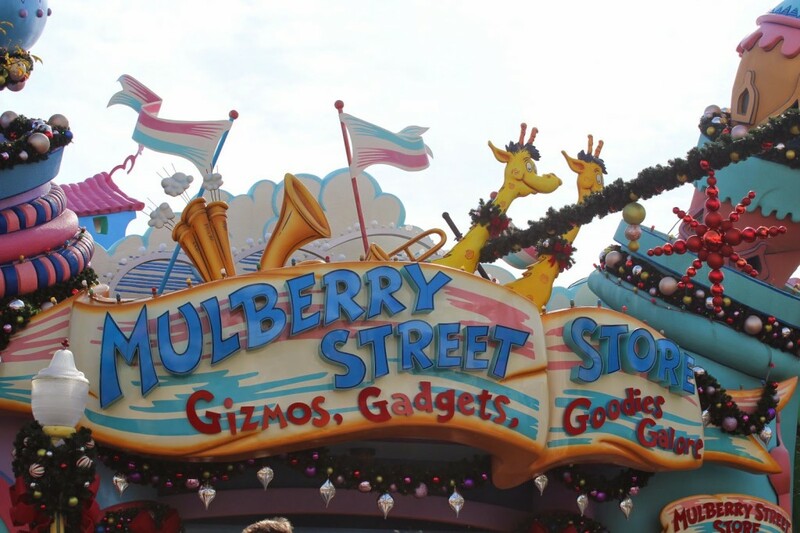 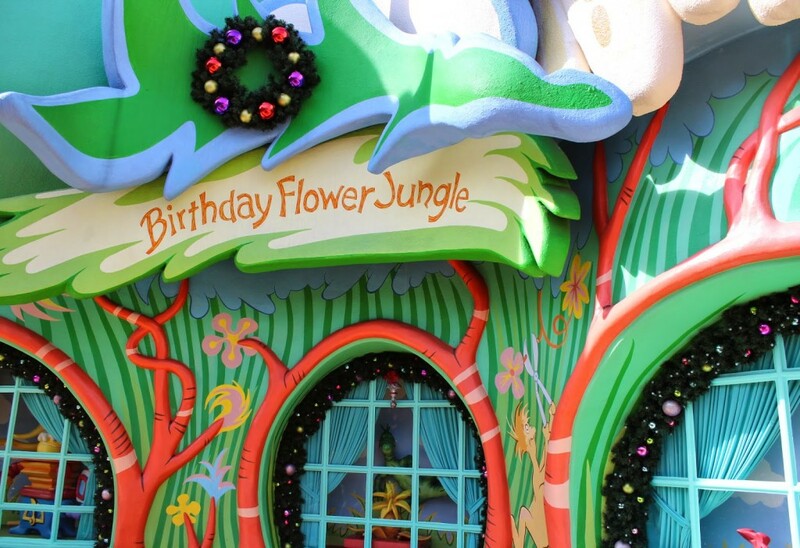 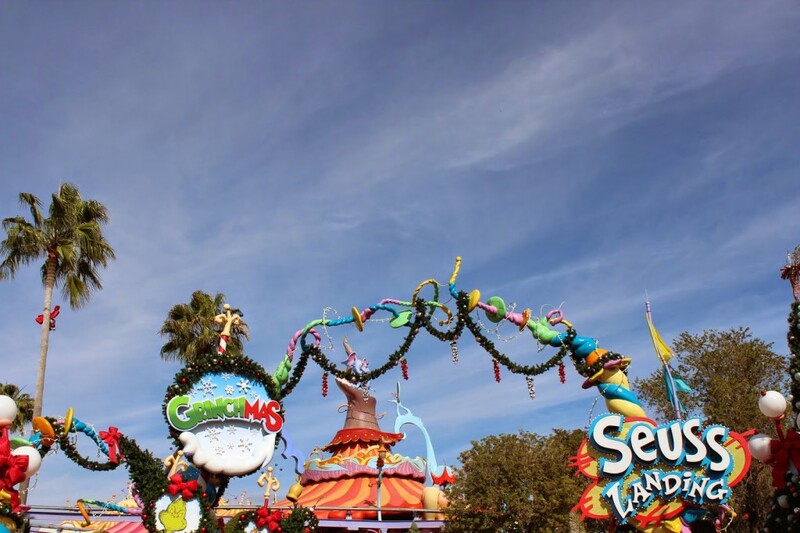 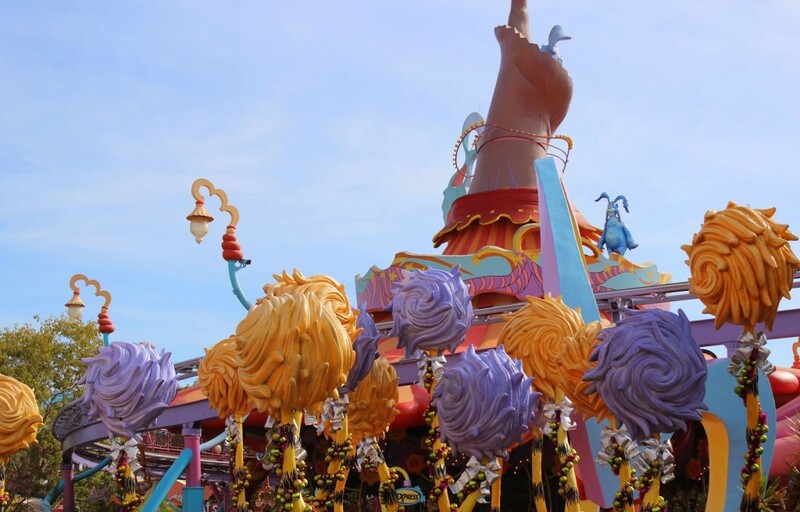 In fact, of all the different Universal areas, Seuss Landing was definitely the most festive! 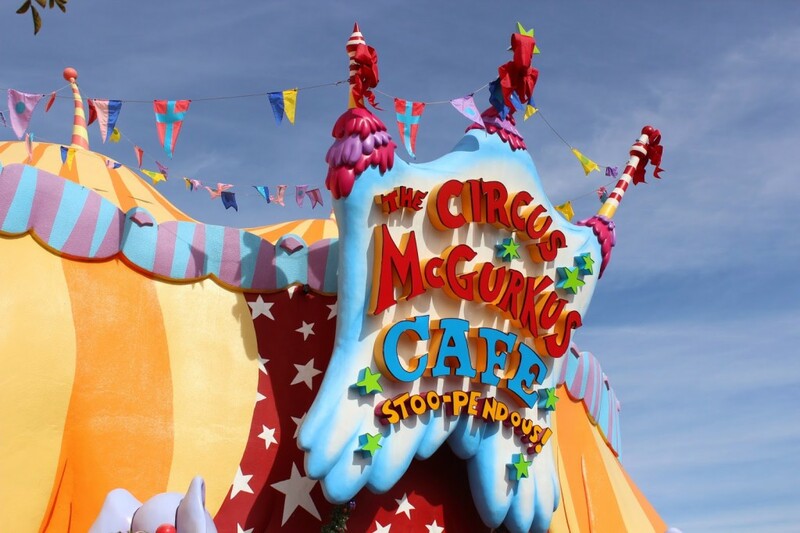 My mother’s favorite Dr. Seuss book has always been ‘If I Ran the Circus,’ so she’s always been a big fan of the Circus McGurkus Cafe Stoo-Pendous. 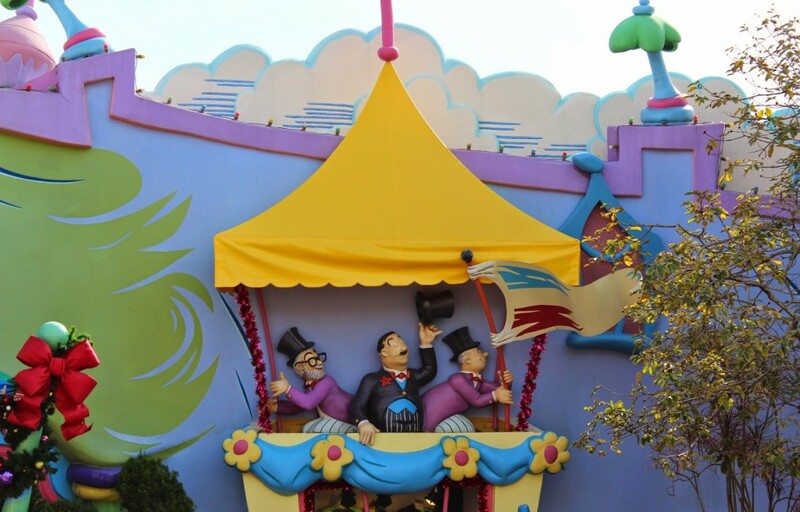 It’s so fun getting to eat inside the big top! 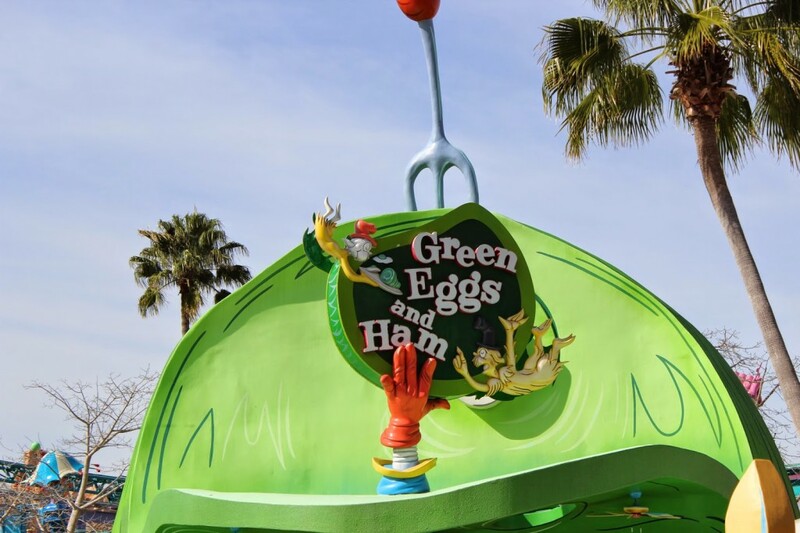 I vaguely remember trying the Green Eggs and Ham Sandwich during a trip to Universal when I was younger and the only thing I really remember is that I was not a big fan of it! 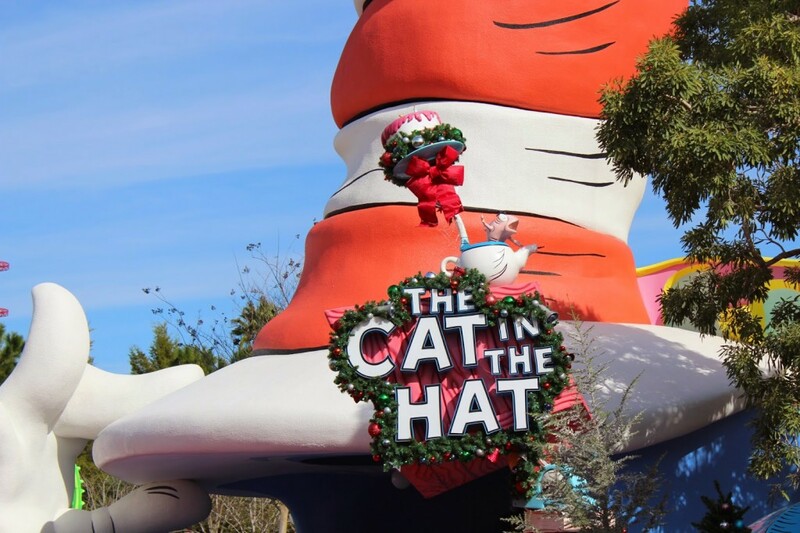 I was to chicken to try it again during my visit in December. 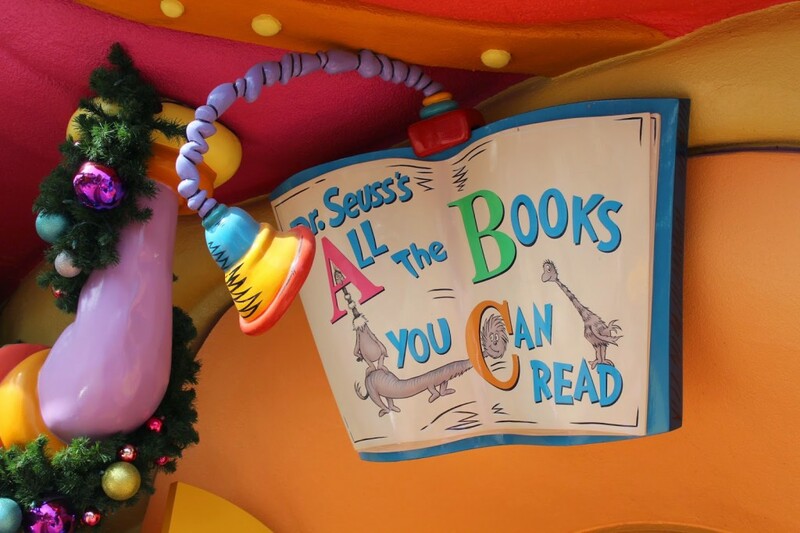 I’ve always been a big fan of The Lorax and the books’ message but my all-time FAVORITE Dr. Seuss book is and will FOREVER be Oh, the Places You’ll Go! 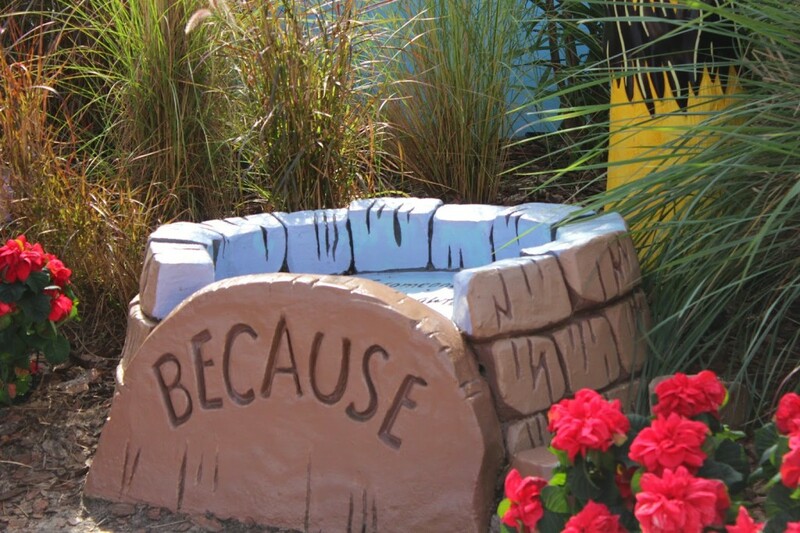 I think I read that book at least four times a day as a kid! 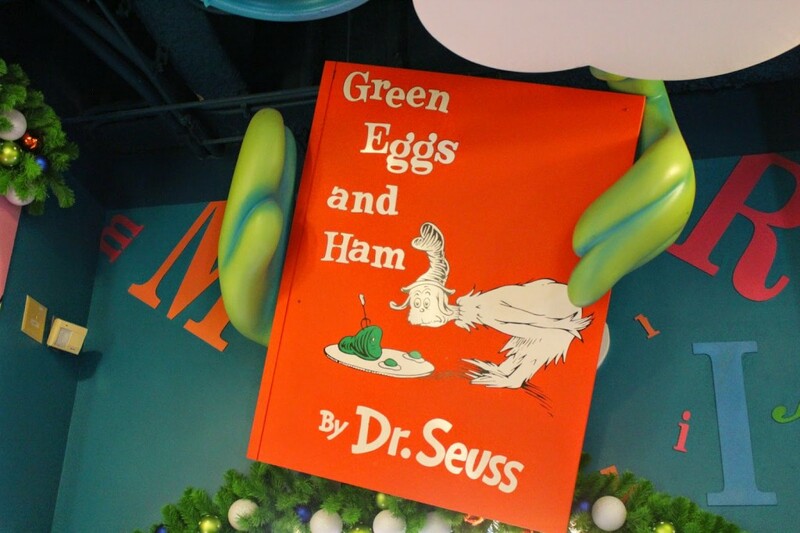 I still have the old worn out copy from my childhood!